For a history of this story, please see the previous post on planning. Overall growing onions in the fabric pots was fairly successful. 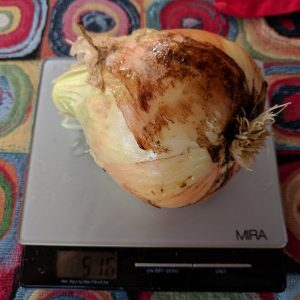 There was one very obvious issue though: the major temperature swings in San Francisco this summer caused many of the onions to bolt much too prematurely. Some days it was roasting hot and the next it was foggy and freezing again. 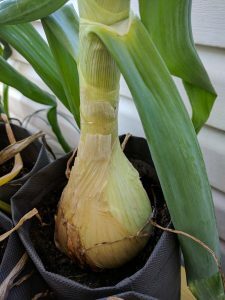 This unpredictable weather made them panic and go into survival mode rather than continue growing the bulb. Once they started bolting there was no way to stop that process. 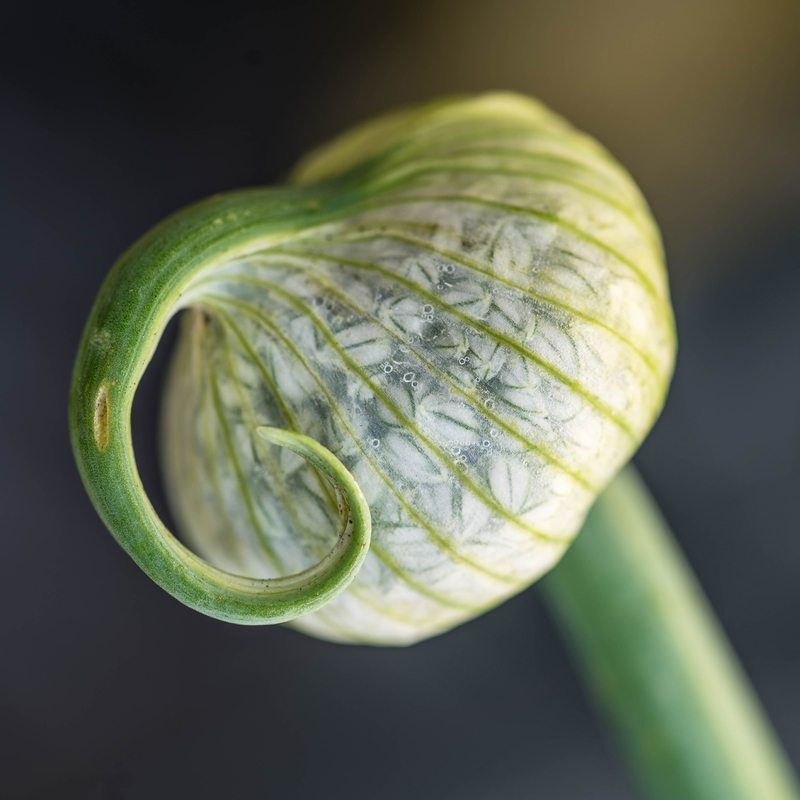 I naively chopped some of the seed heads off thinking that would stop the process, but the stem just keeps growing bigger as if it still had a purpose. The sizing of the fabric pots worked quite well. The onions that didn’t bolt grew to nearly the size of the container. I think I started the long day onions a few months too early and that kept the size down a little. Next year I will start them in January. The largest one I grew came in at 516 grams (1.1 lbs), and there were a couple others of a similar size. The Ailsa Craig’s can get up to 1 kilo, so these were on the low end of the good range. I am letting a couple of the onions that bolted go through flowering so I can collect the seeds and use them next year. They are quite beautiful.